This down home country style hutch is Amish handcrafted in Pennsylvania. 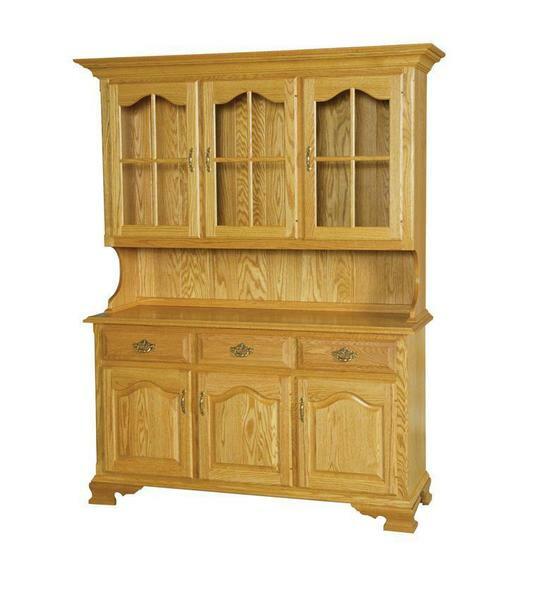 This hutch is sure to become to focal point of your dining room or kitchen. Fill it with all of your china, crystal, heirloom dishes and more. With 63 1/2" of width and 79" height there is plenty of space that you might even have to go out and buy some new keepsakes. Order it as shown in oak wood or upgrade to one of our other solid wood options such as hard maple wood, walnut wood or beautiful elm wood. We offer a wide variety of stain and paint options to truly create your dream country hutch.